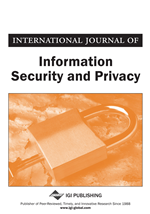 This article discusses an approach for both authentication of medical images and confidentiality for the related textual data in an online medical application paradigm. The image authentication is achieved in a soft manner through a feature-based digital signature while the confidentiality of the related patient information is achieved through reversible data hiding. The selected features are robust towards geometric transformations, while fragile towards texture alterations that are characteristic of medical images. The processing scheme is done in a block by block basis to permit the localization of tampered image’s regions. The effectiveness of the scheme, proven through experiments on a sample of medical images, enables us to argue that implementing mechanisms lying on this approach will help to maintain personal patient privacy and medical image integrity.